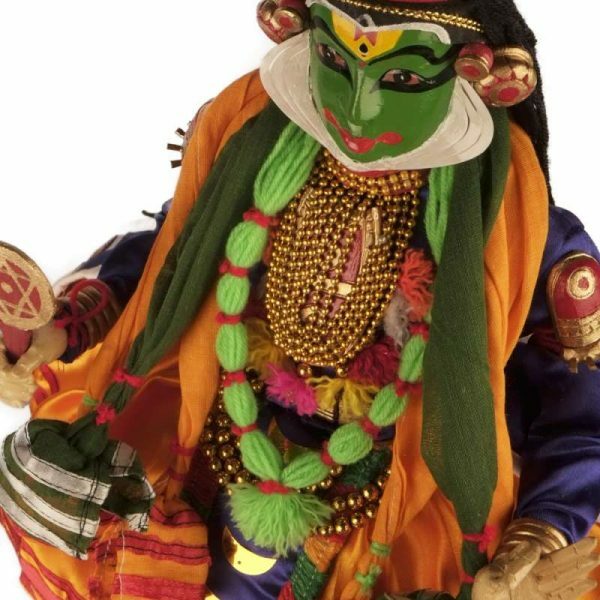 Kathakali, the unique and traditional art form of Kerala is a synthesis of music, vocal performance choreography and facial gestures. 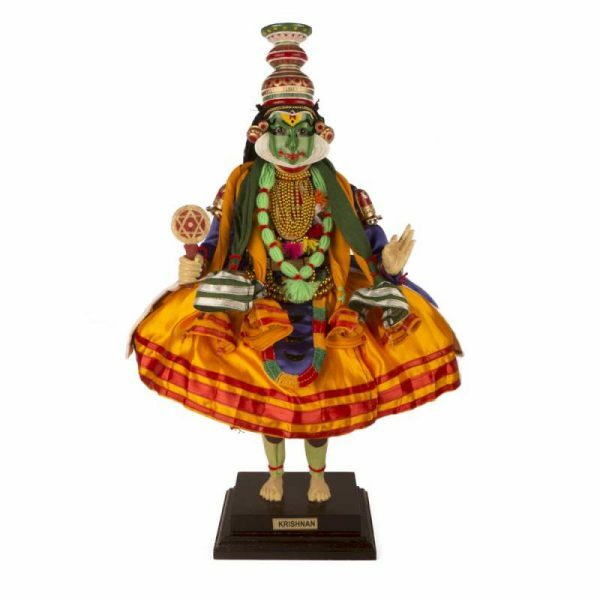 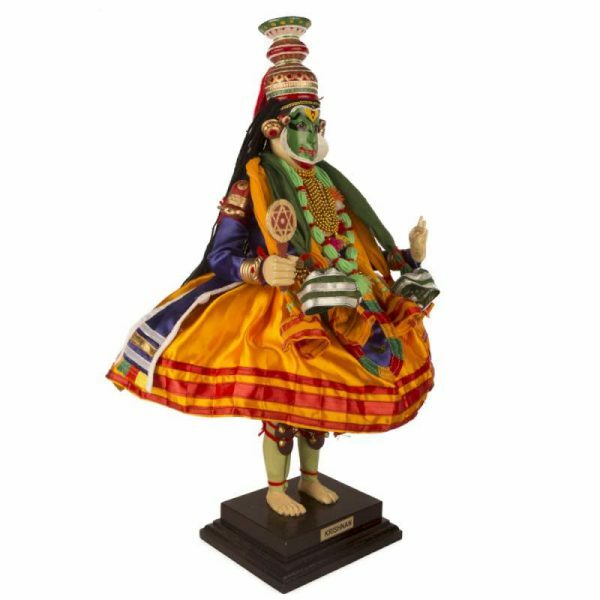 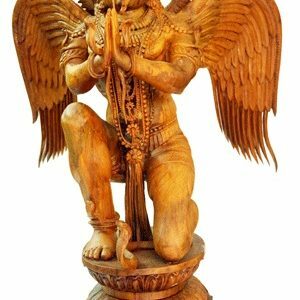 This gorgeous craft work in wooden carving beautifully embellished with the traditional costumes of kathakali, the Lord Krishna is depicted in live performing posture. 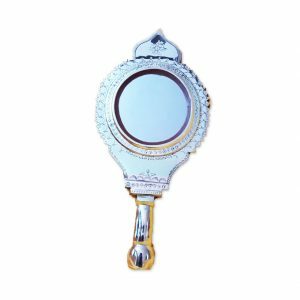 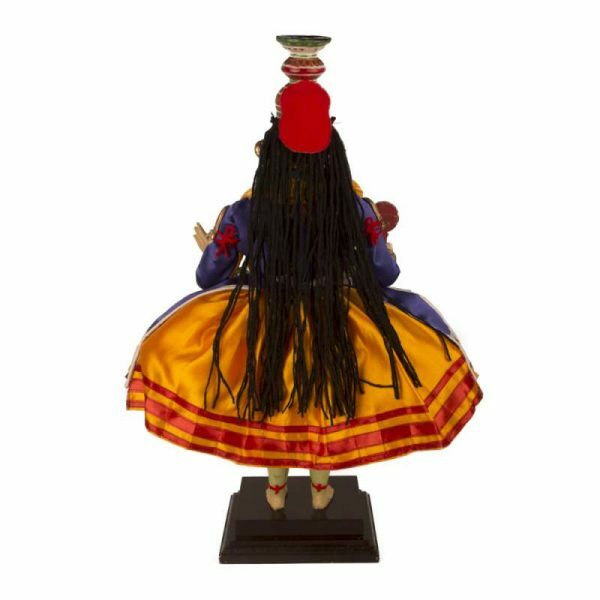 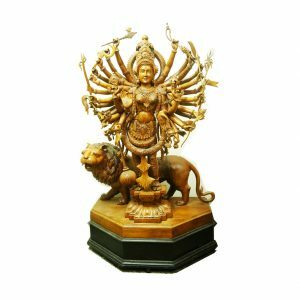 It is an excellent showpiece in wardrobe or drawing room. 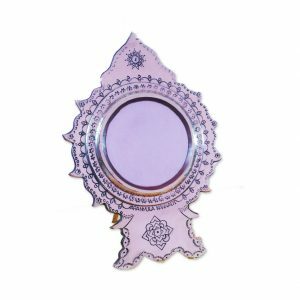 It can also be a piece of artwork ideal for gifting.